If you’ve spent any time reading about WordPress online, you’ll see people talking about WordCamps. Held in far-flung locales around the globe, these gatherings bring together WordPress enthusiasts (count DreamHost in!) and newbies alike. The goal is simple: to share knowledge, grow the platform’s capabilities, and make personal and professional connections. If that sounds fun, well, it is! Plus, if Hollywood taught me anything, it’s that there’s always the chance that you’ll be reunited with your long-lost relatives at camp. Hey, it could happen. Even if your relatives are all accounted for, there are so many reasons to add a WordCamp to your calendar. In this article, I’ll explain all the basics — what WordCamps are, how they work, who they’re for, and so on. Plus, I’ll give you some advice on how to find and attend your first WordCamp — and even how to contribute to future events. And if you’re still not convinced, our in-house WordPress guru Mika Epstein will seal the deal. She’s attended 40 WordCamps since 2011. Forty! Throughout this post, she’ll be sharing her first-hand experiences too. Okay, would-be campers, let’s hit the trail! If you have any interest or investment in WordPress, a WordCamp can be a valuable experience. In a nutshell, a WordCamp is a conference devoted to all things WordPress. It’s an event organized by volunteers and designed to bring people in a certain area together to discuss and learn about WordPress, network, collaborate on projects, and much more. The very first WordCamp was held in 2006 in San Francisco and was organized by Matt Mullenweg himself (one of the original WordPress developers, of course). It was a one-day conference attended by around 500 people and included a variety of presentations by WordPress developers and users. The event was a big success, and the idea spread and flourished over time. Today, WordCamps are held throughout the year, all across America and in many other countries around the world. Their format, structure, and content will vary based on the location and organizers, as does the length and number of attendees. However, most WordCamps do have a lot of common features. They feature speakers and panels discussing key WordPress issues, hold sessions on how to use WordPress and develop for the platform, and provide lots of opportunities for community members to meet, talk, and collaborate. Since WordPress is an open-source, free platform, these events are put together by local volunteers, and there is even a handbook dedicated to the process. Every year, more WordCamps are held in new locations, thanks to the efforts of these community members. The best thing about WordCamps is how they bring diverse members of the community together. The short answer to this question is everyone! Anyone with an interest in WordPress is welcome to attend a WordCamp and should be able to find something at the event to pique their interests. You don’t need to be a WordPress expert to have a great WordPress experience. WordPress newbies. If you’re new to WordPress, what better way to learn about the platform than to immerse yourself in its community? You’ll be able to learn from experienced developers and users and start understanding the many possibilities offered by the platform. Long-time WordPress users. Even if you’ve been using WordPress to power your website for years, there are likely plenty of things you still don’t know about it. This is especially true if you haven’t had much contact with other WordPress users. At a WordCamp, you can extend your knowledge of the platform, make connections, and learn about new tools, tricks, and tips. WordPress developers and designers. For anyone who creates WordPress themes, plugins, or other platform-specific tools (or who otherwise builds websites for a living), WordCamps are invaluable. Not only will you get insight into the latest developments and techniques, you’ll also be able to make connections with potential collaborators and clients. Plus, you can share your knowledge and expertise with other members of the community. WordCamps are designed to be friendly and open to newcomers so there’s no reason not to give one a try. The more you don’t know, the more you’ll have to learn from the experience. There’s no better way to understand the platform as a whole and to connect with people in the community who you might not otherwise have met. 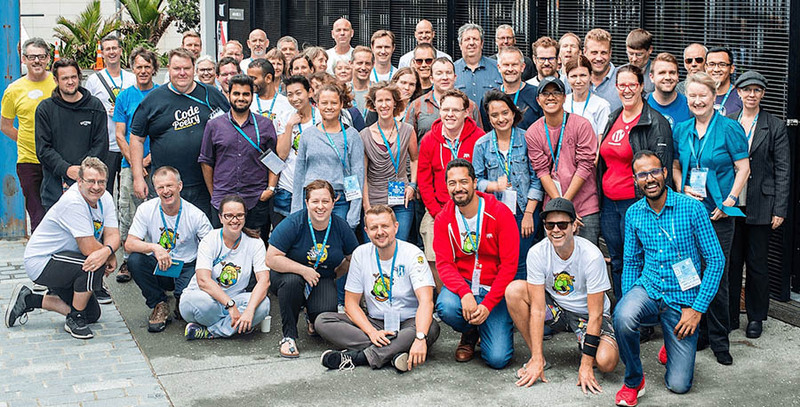 How Can You Find a WordCamp Near You? Although they started in the U.S., WordCamps are now held all over the world. As we mentioned earlier, the first WordCamp was held in San Francisco. However, you can now find WordCamps all over the world. If you’re interested in attending one of these events, there’s a good chance you’ll be able to locate one that isn’t too far away. At the time of writing, there are now 760 different WordCamps, held in 69 cities in 65 countries and across 6 continents. That’s a lot of options. It’s also worth noting that the majority of these conferences are held in North America and Europe, so if you live outside those two continents, it might be a little bit harder to find an event near you. To see if there’s a WordCamp near you, check out the interactive map on the WordCamp Central website. You can also keep an eye on the WordPress Events and News widget on your dashboard, which will inform you of upcoming events. New WordCamps are being started up all the time! So if there isn’t one close enough for you to attend right now, there may be soon. What Can You Get Out of Attending a WordCamp? What you get from your WordCamp experience depends largely on your personal goals. By now, it should be clear you can get plenty out of your WordCamp experience — no matter how much you know about the platform or what you use it for. What you take away from the event will depend largely on your own personal goals and reasons for attending. Learn from more experienced users. 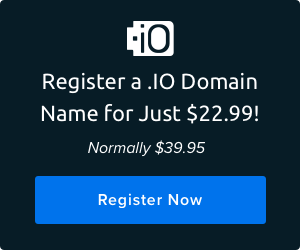 You’ll be surrounded by people who have been using the platform for a decade or more, whether to run their own websites, build sites for others, or develop themes and plugins. If there’s something you want to learn about WordPress, chances are you can get some advice, whether through an official speaker or a simple conversation. Teach less experienced users. Since the WordPress community is built around a free, open-source platform, it thrives on collaboration. WordCamps are your chance to share your expertise and knowledge with others to help the platform grow and develop. Of course, just because you’re experienced doesn’t mean you can’t still learn something too! Discover new facets of the community. Even if you’ve been using WordPress for a while, it’s likely there are niches and specialties you don’t know much about. Perhaps you’re an experienced designer but know little about development and coding. Or maybe you know the platform inside and out, but have little knowledge of the projects that are always running to improve its user interface, accessibility, and more. At a WordCamp, you can learn about parts of the community you didn’t even know existed and maybe even find one you’re interested in contributing to. Make personal and professional connections. Arguably the best thing about WordCamps is the way they bring community members together in one physical location. This means you have the chance to meet people from all walks of life and from all parts of the WordPress community. You can find people to collaborate with, meet potential clients, establish mentor-mentee relationships, and simply make new friends. It’s helpful to go into a WordCamp knowing what you’d like to achieve. This means you’ll be prepared to get the most out of the experience, whether that’s focusing on meeting new people or just trying to learn and absorb as much as you can. Of course, it‘s also important to be open to new experiences and unexpected opportunities! 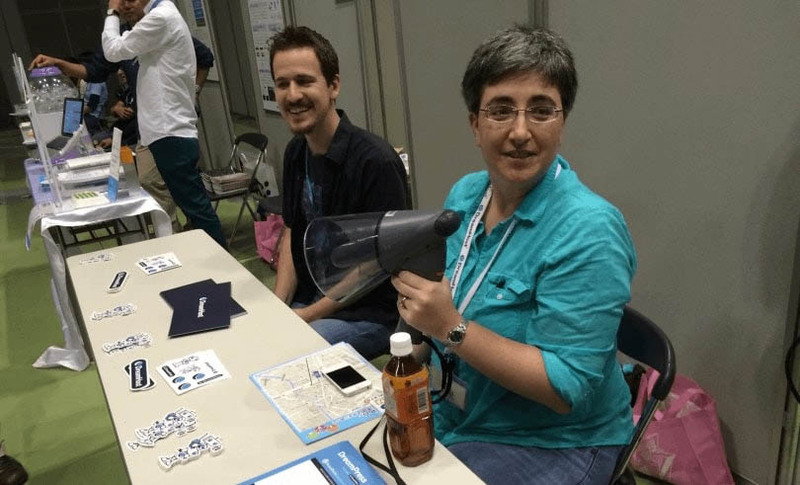 What Can You Expect from Your First WordCamp (And What Should You Bring Along)? New experiences can be intimidating, so you’ll want to know what your first WordCamp will look like. Since WordCamps are developed by teams of volunteers and take place in varied locations, no two are exactly the same. Therefore, it’s impossible to know exactly what to expect from your first WordCamp. However, most events have quite a few things in common. The event will be dedicated to WordPress, although there may be some sessions and presentations focused on related topics (such as blogging or social media). Most are one or two days long. They are kept low-key and casual, to encourage people to feel comfortable and to keep prices reasonable. A typical entry fee is less than $40 for two days. 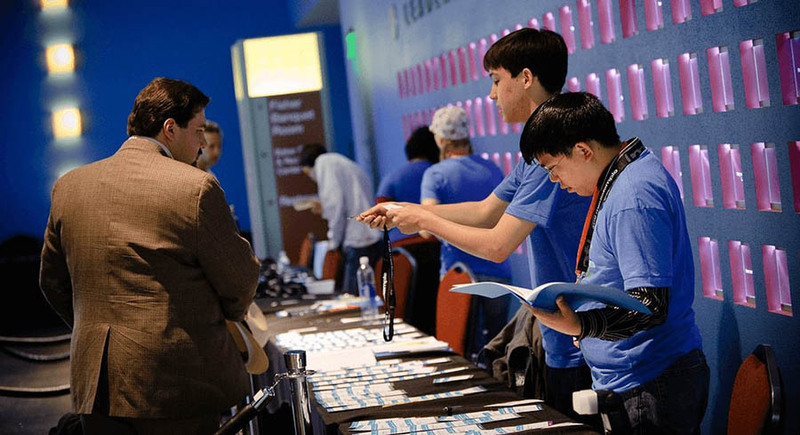 Most events at a WordCamp will be presentations and sessions focused on a particular topic or niche — such as plugin development, Search Engine Optimization (SEO), or monetization. The speakers will be volunteers, who participate out of their enthusiasm for the platform. Frequently these speakers are local community members, although there may sometimes be sessions featuring prominent WordPress developers or personalities. The sessions themselves can be in a wide variety of formats, such as lectures, demos, Q&As, panels, or workshops. You’re likely to notice a key focus on collaboration and socialization. There is often a ‘Happiness Bar’ staffed by volunteers who can answer your questions and a job board where anyone can post opportunities, leave their business cards, and so on. Finally, there are likely to be some associated social events, such as musical performances and parties held after the conference itself. Paper and a pen. You’ll be learning a lot so you’ll need a way to take notes. Plus, paper is handy for jotting down names and contact information when you meet people you’d like to connect with further. Your laptop, smartphone, or tablet. This is also a great way to take notes. Plus, you’ll be easily able to show your website to others in order to get help, collaborate, or pass along useful knowledge. Business cards. While you don’t want to attend a WordCamp for the express purpose of marketing yourself or promoting your business, this kind of event is perfect for networking. A ready supply of business cards lets you take advantage of any opportunities that arise. In addition to these physical items, you’ll also want to bring along a positive attitude and an open mind. The more ready you are to listen and absorb everything others have to teach you, the more you’ll get out of your first WordCamp (and each one thereafter). Why Does DreamHost Participate in WordCamps? We’ve participated in our share of WordCamps, and it’s always a great experience. Share our knowledge about the platform. Our WordPress experts have a lot they can pass along, and it benefits everyone to keep information flowing. Learn everything we can. No matter how much you already know about WordPress, there’s still more you can learn. When we’re at a WordCamp, we can benefit from the knowledge of everyone there — from attendees to speakers. Plus, we can stay current on the latest changes and hot topics. Meet new people. It should be clear by now that WordCamps are a perfect vehicle for networking and for making personal and professional connections. We love meeting new people who are as passionate about WordPress as we are. Not to mention, we love interacting with our customers in person! Give back to the community. WordPress (and its stellar community) has done a lot for us as a company and as individuals. Participating in WordCamps, sharing our knowledge, and answering questions is our way of giving back and helping to keep the platform going strong. If you want, you can read more about our past experiences with WordCamps and how we’ve participated. We hope to run into you at a future event! How Can You Contribute to Future WordCamps? There’s always a need for volunteers to help organize WordCamps and participate at the events. Attending WordCamps is great — but you can go a step further and actually get involved in the process. It’s best to start out by attending a few events just to get a feel for how they work and what they include. Once you’ve got a few WordCamp notches in the old belt, you’ll be ready to start contributing to future conferences. Why would you want to get involved? Easy! You’ll be able to give back to the community, make stronger connections, share your expertise, and so on. Plus, if you’re an organizer at heart or love working in outreach, you can have a lot of fun with the process. To get started, you’ll want to visit the Make WordPress Communities website — home of the team that oversees events such as WordCamps, mentorship programs, and other outreach initiatives. Read through the WordCamp Organizer Handbook on the same web page to learn about the process and what will be expected of you. It’s also a good idea to peruse the WordCamp Central website thoroughly, to learn as much about ongoing events as you can. Then, fill out the WordCamp Organizer Application or jump into the community Slack channel and introduce yourself. Don’t be shy — volunteers are always needed to help keep WordCamps awesome! While you’re planning your next WordCamp, give your site the ultimate WordPress experience with DreamPress! WordCamps are the perfect way to meet, learn from, and collaborate with other WordPress users and developers. They bring together all parts of the community to help people from different niches and with various specializations connect to one another. Best of all, they’re designed as friendly events that are more than open to newcomers. The first thing you’ll want to do is find out if there’s a WordCamp near you. If so, you can read up on what to expect and what you should bring along to the event. While you’re there, focus on learning as much as you can, making connections, and sharing your own expertise. Don’t forget to have fun and come visit us over at the DreamHost table too! Do you have any questions about WordCamps in general or how to get involved in them? Feel free to ask us in the comments section below! Image credits: kristarella, Sean O’Shaughnessy, and Wikimedia Commons. I recently went to my first WordCamp last December and it was incredible! There was so much to learn, so many new people to meet, and so much free stuff! I would definitely recommend going to one if you can.